Our first show was at the Marina at Montrose Beach in Chicago in April of 2011. Pam had to stand on a car battery or something to keep the drums from falling over and the mic stand kept falling over too. All in all not a bad show. 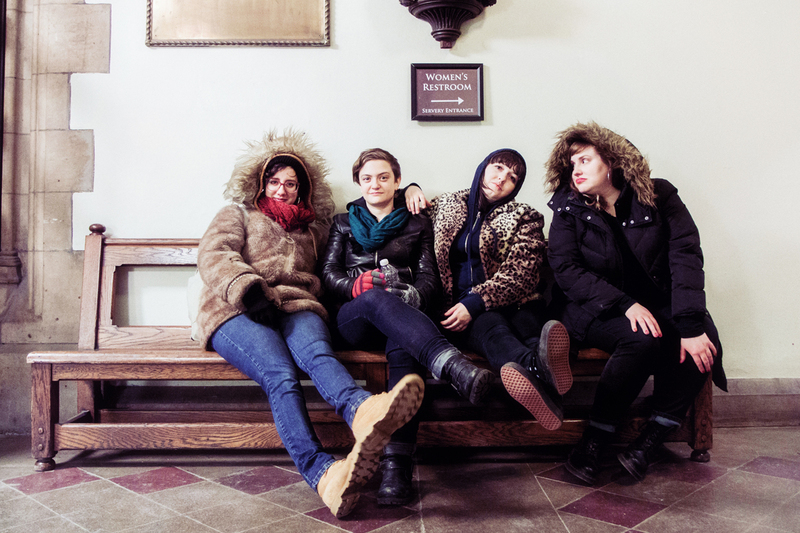 Blizzard Babies like to write songs about things that give us the creeps and make us uncomfortable. But we’re also about harnessing the power of female friendship. We play punk pop not pop punk and we make surf music for cold beaches on lakes where you can’t surf. We are inspired by scary stories, bad feelings, the music our friends make, and also kiwi pop, Wire’s Pink Flag, Janet Weiss, and Destiny’s Child. Who are your favorite local Chicago bands? Which bands/what kind of music have you been listening to lately? Right now we are listening to Crass, old dub and reggae (the more lo-fi the better), the first Peechees seven inch, Dead Moon, Aye Nako, Radiator Hospital, Flesh World, Sheer Mag, Tomboy, The Clean, and Liz is probably listening to Sleater-Kinney and New Order. 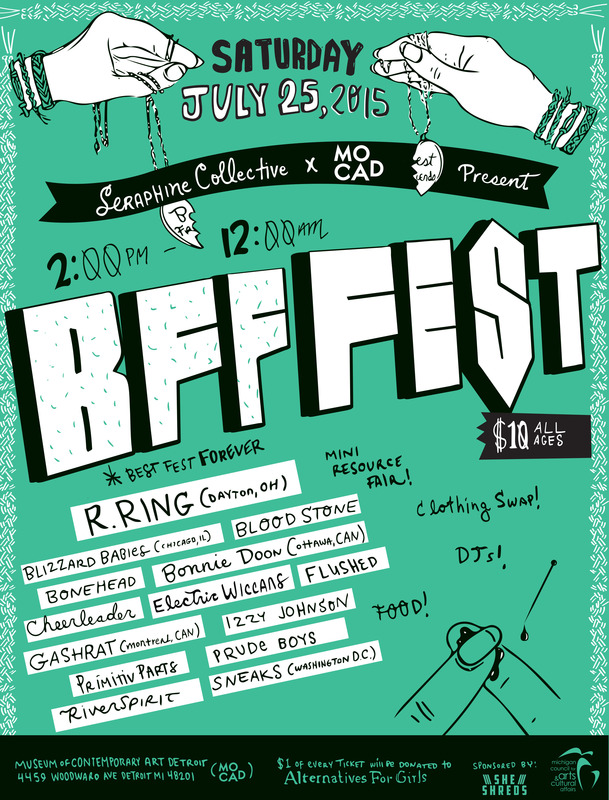 Well we were supposed to play BFF Fest last year but Taylor got strep and we had to cancel. We were so bummed, but now we’re so happy to be involved this year!